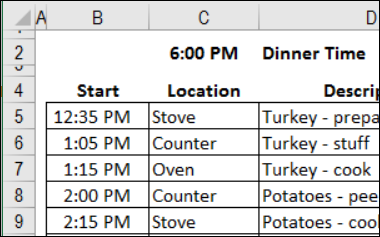 You can use Excel to help you plan a meal, by entering your dinner time and menu items in the Excel Holiday Meal Planner. 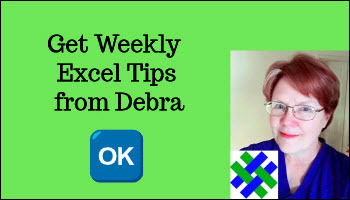 Or for the rest of the year, use the Weekly Excel Meal Planner to keep your weekday meals and shopping organized. Of course, working in the kitchen is more fun if you have some fancy gadgets. 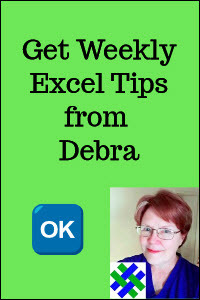 Click on the link in the product information, to go to the Amazon.com site. I don't use my breadmaker too often during the summer, but it's wonderful to have the aroma of fresh baked bread during the cold dark winter months. Just toss a few ingredients into the pan, click a couple of buttons, and come back in about 3 hours, for some delicious bread. And don't worry -- you won't forget to come back -- the magnetic aromas will pull you back. It's great to buy things in bulk at Costco, but not such a money saver if half the stuff goes bad before you use it. I had seen food savers before, and thought about buying one, but finally succumbed when I found this upright model, that fits nicely in a corner of the kitchen counter. If I had a bigger one, it would be stuck in some storage area, and I'd never use it. The following books are ones that I own and enjoy using. Point to a heading, to see product information from Amazon.com web site for that book. This cookbook has lots of great recipes, simple instructions and is nicely laid out, with gorgeous pictures. The index is poor, but that's my only gripe. This cookbook is filled with delicious sounding, but lengthy, recipes. Some of the recipes have names that are longer than my attention span, so I sure wouldn't have the strength to get through the instructions. However, it's fun just reading them, and learning about food in the different regions of Canada. Besides the recipes, there are articles on local foods, beverages, landmarks and chefs. Even if you never cook from it, the book is worth owning. I especially enjoy the bread recipes in this cookbook. The book could be improved by adding nutritional details, e.g. 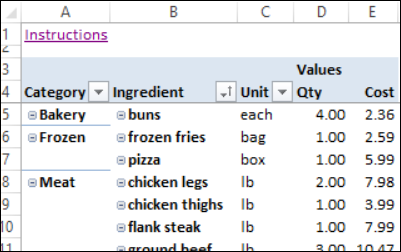 calories, fat, to the recipes. by Darina Allen and Rosemary Kearney. A beautiful book, with some recipes that are a bit complicated, but definitely worth the effort.